No matter what your budget, you can advertise your business online on your customers; computer, ipad or smart phones. Pay only if people click on your adverts and start with your own mobile optimized website with our “page 1 of Google” Guarantee! 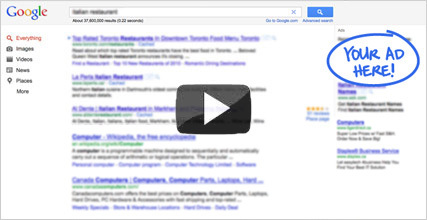 Target your customers no matter how they’re searching online. When your customers call you from a mobile search they’re ready to buy. We can help you get as many or few new customers as you want.